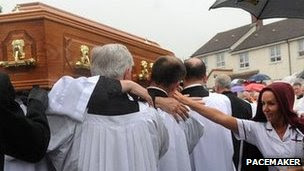 For observers of Roman Catholicism there is a worthwhile article and discussion to be found in The Irish Catholic - prompted by the recent disturbing suicides of three Irish priests - about the pressures on priests in contemporary Ireland (pressures which I expect would apply also in Australia and in other, similar national Catholic churches). The article touches upon the clerical sexual abuse crisis, which must be a huge factor in the crisis in the Irish priesthood, but helpfully shines its light on other aspects of the current priestly crisis in the Roman church that receive less attention. I must say that the average Roman Catholic priest who conducts his ministry with integrity, and I'm sure there are many of them, has my sympathies. From my perspective as a Lutheran pastor, priests appear to have too many administrative duties and social expectations thrust upon them which are really extraneous to the essential work of a pastor, which is often burdensome enough as it is, especially, I would imagine, in the very large parishes in which Roman priests are called to serve. 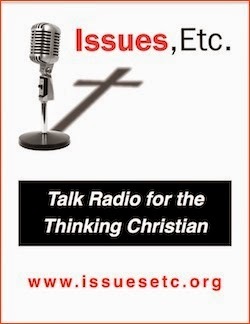 One insightful commentator on the article cites the Vatican II document, The Dogmatic Constitution of the Church (Lumen Gentium, 1964) as offering at least part of the solution to the problem: "Let the spiritual shepherds recognize and promote the dignity as well as the responsibility of the laity in the Church. Let them willingly employ their prudent advice. Let them confidently assign duties to them in the service of the Church, allowing them freedom and room for action. Further, let them encourage lay people so that they may undertake tasks on their own initiative." The fact that the Roman priest is "in charge" of a parish, with final responsibility for its spiritual and the material well-being (and answerable for such to his bishop, who may or may not be entirely sympathetic), seems to me to be asking for trouble of many kinds. In contrast, in Lutheran congregations, the pastor, while he is the "spiritual leader" of the congregation, is not "in charge" of it, but sits as a member of a lay-led administrative council, where, ideally and constitutionally, his counsel is heeded, especially in spiritual matters. But the pastor is not individually responsible for every facet of congregational life down to the finances and what colour the new carpet in the narthex shall be, as the priest seems to be. The Lutheran administrative model may not be able to be replicated exactly in Catholicism because of differing dogmatic principles and cultural heritages, but how many Roman Catholic priests and parishes follow the guidelines of the 'Dogmatic Constitution'? I'd be interested to know. Then there is also the matter of how celibacy - a gift that has been legislated for the Roman priesthood - impacts upon the morale of Catholic clergy...I've noticed that in my neck of the woods the younger priests are recent immigrants from third world countries who have a cultural background quite different from the average Australian Catholic. Presumably migrant priests are being imported to other Western countries as well. I suppose that solves the problem of having someone "to say Mass", as Catholics say, and without the Mass it is difficult to imagine traditional Catholicism surviving - but is that, I wonder, the best way to deal with the shortage of native born priests that is a major aspect of the crisis in the priesthood in Western countries? "These students heard plenty of messages encouraging "social justice," community involvement, and "being good," but they seldom saw the relationship between that message, Jesus Christ, and the Bible. Listen to Stephanie, a student at Northwestern: "The connection between Jesus and a person's life was not clear." This is an incisive critique. She seems to have intuitively understood that the church does not exist simply to address social ills, but to proclaim the teachings of its founder, Jesus Christ, and their relevance to the world. Since Stephanie did not see that connection, she saw little incentive to stay. We would hear this again." As a Lutheran I would rather say we must "proclaim Jesus Christ and his teachings", lest we turn Jesus into just another founder of a religion rather the the Redeemer of humankind, but the import of Stephanie's criticism is clear. 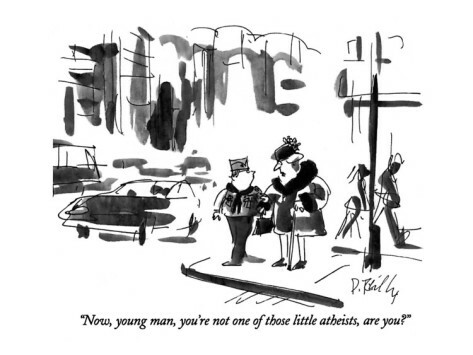 As a former young atheist (before it was fashionable), the responses in this article seemed very familiar. Read the whole thing here. There are many good Christian responses to the so-called new atheism out there; one I recommend to put into the hands of aspiring young atheists is 'Atheist Delusions' by David Bentley Hart, available in Australia through Koorong for $24.00. 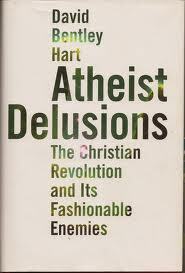 I don't agree with every facet of Hart's presentation of Christianity, but his critique of the new atheism is withering. How I wish Hart's book had been around when I was fifteen! Thanks to colleague pastor Peter Kriewaldt for drawing my attention to the article.